Some players prefer boots on the ground and some prefer the rumble of big tanks. 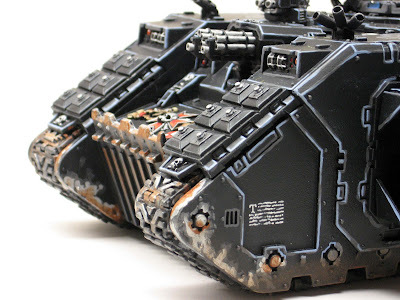 With the Imperial Guard Codex breathing new life into "treadheads" everywhere, the FTW Bloggers were tasked with collecting everything they could that concerned "armour" in 40k... and not just Guard stuff either. Here's what we came up with. From modeling to painting and tactics, with a little bit of everything in between. If it deals with armour, it's probably in here. If you've got something that you'd like to add, leave a comment with a link and I'll get it added. Very nice collaborative post. I know I'll definitely be using some of those weathering techniques.